Savvy Spending: Amazon Prime: NEW Members can get a Year Subscription to Prime for just $79, TODAY only! Amazon Prime: NEW Members can get a Year Subscription to Prime for just $79, TODAY only! If you've been considering a Amazon Prime Membership, you can get a GREAT deal TODAY ONLY! 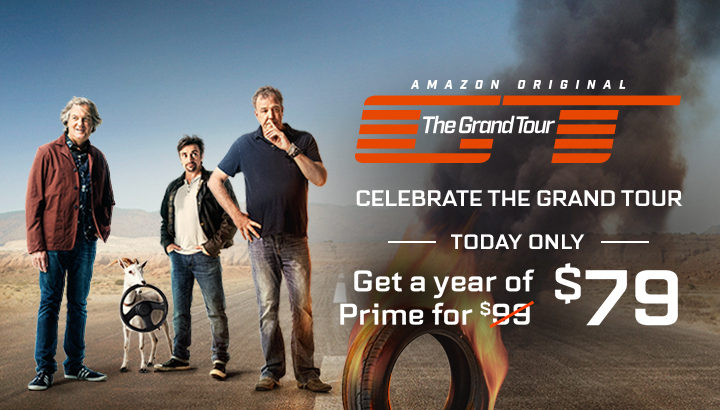 In celebration of The Grand Tour, you can save $20 on a Prime membership! New Prime members can get a one-year Amazon Prime Membership for ONLY $79 today, 11/18! This the perfect time to join so you can shop at Amazon and save on shipping!